Water condition: dark, could just see feet when standing in knee deep water. Weather background: past week has been fine with westerly winds. The previous two weeks was solid rain. Lures: Ecogear SX40F colour 348 (black and red). Notes: What started out as a very quiet session wading around the back of Narrabeen Lake ended up with a personal best flathead on light line. 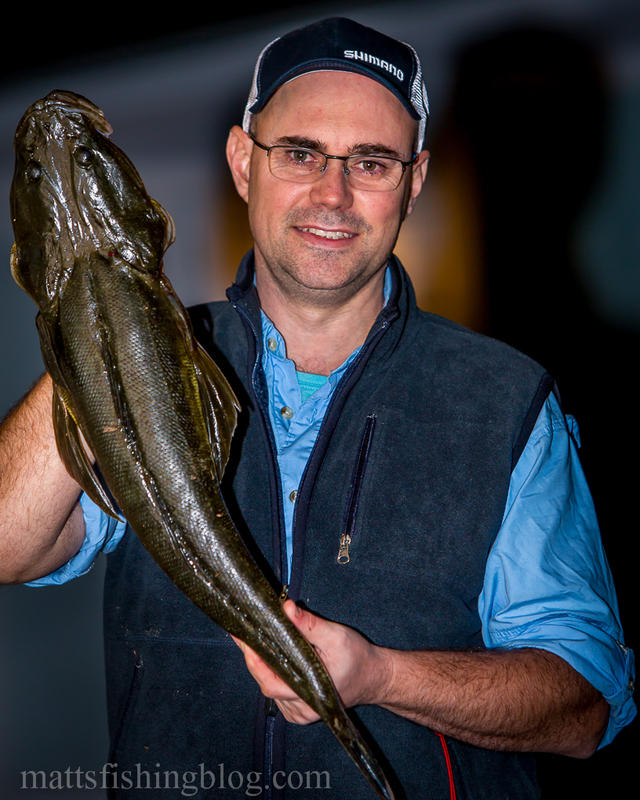 A 72cm, 3kg flathead on 1.8kg line. The monster lizard inhaled the Ecogear SX40F at 5pm and had me dancing all over the place for the next 25 minutes. When it first came to the surface it looked so big I had doubts if I could land it. Flatties are notorious for sawing through light line and this lure was well and truly engulfed. Today luck was on my side and after a long battle I managed to net the fish. I attempted to release the fish unharmed, however, the lure was so far down it’s throat I just couldn’t get it to swim which is very disappointing as fish this size are breeding fish that I would never take. So today this fish is feeding the family. Before the flathead it had been very quiet. I had worked a long strip with Ecogear ZX30 blades with nothing. After swapping over to the SX40F I was soon onto a couple of bream the better one being 32cm. All bream were released. Fish like this flathead don’t come along that often when throwing lures from the shore. Today was definitely a session to remember.